Could you really get rid of me? Or my sisters? While I was on vacation, I was travelling with just one doll. I started getting comfortable with not having a choice in dolls, in having a single doll to take around with me everywhere. These thoughts led to the beginning of me thinking of what it would be like if I had less choices, less dolls, just less. One doll for all those clothes, shoes, hats and accessories? It may be a bit overwhelming though. This thought is hard, of course, because I have so many Blythes. I even added to my doll family after wandering around doll shops in Hong Kong. So how could I even think about downsizing? It was a fleeting thought. I thought about it primarily when I was in China, because it was a possibility. But then who would I sell? How would I downsize? And clearly (as evidenced above), I can’t even take care of the one doll that I do take on vacation… Please don’t ask what was going on with her bangs – I really don’t know, and her hair is a mess after being in a carrying bag. The mere thought of listing dolls, figuring out pricing, not having them anymore is a level of stress that I didn’t need while I was on vacation (or now!). While it may have been nice to just have one doll to dress and tote around in my bag, I eventually (and lets not get into how long it took me…) started to miss my other dolls. I found myself unable to actually commit to the idea of downsizing, or selling anyone, because it was just that hard. I’ve grown attached to my dolls, as silly as that may sound to a non-dolly person, but I intend to keep them just where they are for the foreseeable future. Did you downsize from a large doll family to a smaller one? Was it stressful? Did you do it for a reason other than just wanting a smaller family? Inquiring minds (or just mine!) want to know. Could I ever be a one-Blythe girl? Could I Have Only One Blythe? 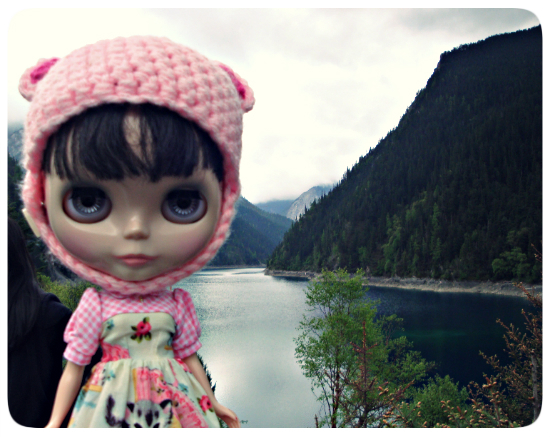 I have not had to sell any of my blythe dolls yet, but I have sold other dolls in my collection to buy blythe dolls. That is the thing with dolls in general, your interests change, you upgrade to a better doll, you change your likes/dislikes the longer you collect any one thing. I fix some of my dolls to have “perfect” hair, nicely ironed or steamed outfits, then I put them on a doll stand, then put them in my doll cabinet. I don’t “play” with these dolls, they are for display only. Other dolls I take out to meets with friends, to photograph, change outfits and so on. Blythe is a doll that is meant to be enjoyed, and having too many can make it hard to have time to spend on each of them. (all of my blythe dolls I will keep at this point, I keep my collection small, but clothing and accessories can always come and go). I think trading with friends makes it less stressful to sell stuff. When I clean out, I see which of my friends also has stuff to swap.